The most important comparison for used Acura TLX shoppers to make is to put the car side by side with a used ILX. Both are very similar cars in styling, and many car buyers may end up seeing that they’d rather save money and upgrade to advanced packages with the ILX instead of the TLX. Or, it may showcase the difference is size and overall appearance, making them want the TLX even more. Below, we’ll help inform you of the key differences between a used TLX and used ILX, to ensure you pick the vehicle that fits your needs! When new, the TLX starts retailing at around $32,000, while the TLX retails around $28,000. Once the vehicle is pre-owned, however, we’ve noticed the ILX holds a bit more value than the TLX. Each vehicle will be priced differently from dealership to dealership, but you can expect $2,000 to $6,000 to separate the two models, depending on interior options and TLX engine options. Certified pre-owned TLX models equipped with the 3.5-liter V6 will be much higher priced than those with the standard 2.4-liter engine. When it comes design, there’s no a lot that separates the ILX and TLX. The ILX is a great looking car, but is a lot less sleek when compared to the TLX. A lot of this has to with the overall size of the car, as the ILX (182 inches length-wise) is based on the Honda Civic while the TLX (190 inches length-wise) is based on the Honda Accord. 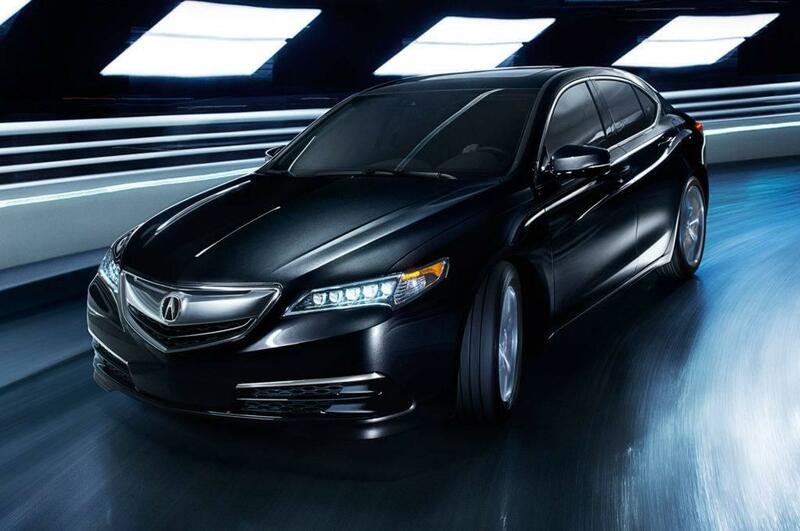 The TLX features more curved lines than the ILX, with slightly more aggressive headlights and taillights. From a distance, however, the untrained eye would be hard to tell the two apart until you can see the sizing difference up close. Both the Acura ILX and the Acura TLX feature a standard four-cylinder engine, with the former making up to 201 hp and 180 lb-ft of torque and the latter making up to 206 hp and 182 lb-ft of torque. Given the more compact dimensions of the Acura ILX, that marginal power deficit is nothing to worry about, and up to 25 mpg in the city and 35 mpg on the highway** makes it a great choice for the efficiency-minded. The Acura TLX’s standard 24 mpg in the city and 35 mpg on the highway** is almost as impressive, but the vehicle’s real performance advantage is the availability of a 3.5L V6 engine, which can put you in command of up to 290 hp and 267 lb-ft of torque. The Acura ILX is also impressively proportioned for a compact sedan, with up to 89.3 cubic feet of passenger space and 12.3 cubic feet of cargo space, but drivers who need a little extra space might consider opting instead for the Acura TLX. 93.3 cubic feet of passenger space and 13.2 cubic feet of cargo space make a noticeable difference, and the cargo area is made more versatile by the optional 60/40-split folding rear seatbacks. Whether you want to take skis from Port Washington up to the Catskills or frequently carry clients from Manhasset to Manhattan, you’ll appreciate the added space and versatility. The Acura ILX and Acura TLX run almost neck-and-neck when it comes to onboard features, and it’s a contest featuring some of the finest technologies around. Whether you require the convenience of 3D navigational mapping or the safety of adaptive cruise control, you’ll find that both models are fitted to meet your needs. You’ll also receive a standard 7-speaker sound system with the Acura TLX, though both models can upgrade to a premium 10-speaker alternative. Parking sensors and ambient lighting are nice to have, but most drivers will find these two models equally matched.